E-commerce seems to be eating up the retail world right now. We’re seeing longtime brick-and-mortar retail brands closing or going bankrupt that we never would have expected to see disappear ten years ago. Take Toys”R”Us for example. After more than 60 years in business, they are liquidating and closing all of their remaining U.S. stores. On the other hand, the digital world is an exciting place to be, with business owners starting their very own digital brands and competing in the digital marketplace. Most brick and mortar stores have been forced into creating an online presence. But it isn’t always easy to hit it big online. You have to know what some of the trade secrets are if you want to make it to the top. Here are the five most important factors for success in e-commerce that you can’t afford to ignore. First, let’s talk about why so many e-commerce businesses struggle in the first place. There are many common reasons for the e-commerce struggle, and stores in different industries will face different hardships. But there are some general battles that all e-commerce businesses have to fight. Have no fear. The solution to solving these problems may be simpler than you think. For starters, people aren’t judging your business initiatives or products on their own merits. Customers simply want what they want when they want it. And sometimes, their expectations can be pretty high. Especially online. If you have too many shipping options on your site, you’ll deter customers who want their products quickly. As many as 80% of American shoppers say that shipping price and speed are very or extremely influential in determining where they shop. That’s why you should offer fast and free shipping when you can, like apparel brand Shongolulu, which offers free shipping on orders that are $30 or more. When customers don’t have to pay for shipping, they’ll be more likely to pull the trigger on a purchase that they can’t touch, feel, or try out because there’s less risk involved. Customers don’t want to wait forever to get what they ordered, either, so if you’re willing to provide free shipping, choose a fast option. At the beginning of 2017, the National Retail Federation speculated that online retail would grow 3x faster than the rest of the retail industry, with mobile e-commerce sales soaring. The rise of online shoppers has also shortened consumers’ patience. Online shoppers are looking for convenience. They don’t want to deal with difficult return policies or long waits for orders. But the good news is that starting an e-commerce business in 2018 is perfectly doable. And so is taking each of these factors into account, which can help you stand out from competitors. The first step is building your brand with some great values behind it. Your e-commerce business has a brand at the core of its identity, whether you know it or not. To find out what it is, you have to think about what you do and why you do it. Your brand embodies a set of values related to your business’s central endeavors. Some older brands aren’t aging well, because they don’t really have a clear mission. Or they do, but they don’t disclose it. In 2017, Enso’s World Value Index analyzed 150 brands according to how Americans identify their purpose and how well their purpose aligned with customer values. The research also looked at the extent to which each company motivates brand advocacy and purchase. The results were vastly different for different demographics. Baby Boomers rated Newman’s Own to be number seven on the list, while millennials rated the company to be number 81. The brand could lose it’s allure if they fail to appeal to millenials since their generation is much larger than the Baby Boomers and three times the size of Generation X. And by 2019, millennials are expected to outnumber Baby Boomers are America’s largest generation yet, according to the Pew Research Center. The bottom line? Deviating from your brand hurts your message. And when you hurt your message, you hurt your brand. Your brand persists on your customers’ unique perceptual map. They build assumptions about your brand’s identity based on interactions with your company, and they aren’t likely to forget their first impression. This means that they remember you when choosing to make another purchase. How they remember you impacts how they will review you. As many as 31% of consumers are likely to spend 31% more on products and services from businesses with excellent reviews, while negative reviews can drive away 22% of customers. A whopping 85% of customers trust online reviews as much as they trust personal recommendations. Dissatisfied customers are more likely to share bad stories to friends & family than satisfied customers are likely to share good stories. While happy customers might tell a few friends, unhappy customers will tell even more. That means you’ll have a whole lot more “anti-referrals” on your hands than positive recommendations. When you aren’t establishing your brand as the go-to, your competitors are. In the digital era, your competition is no longer confined to the shop across the street. If a stronger brand offers the same type of product that you do, they will gladly eat your market share. 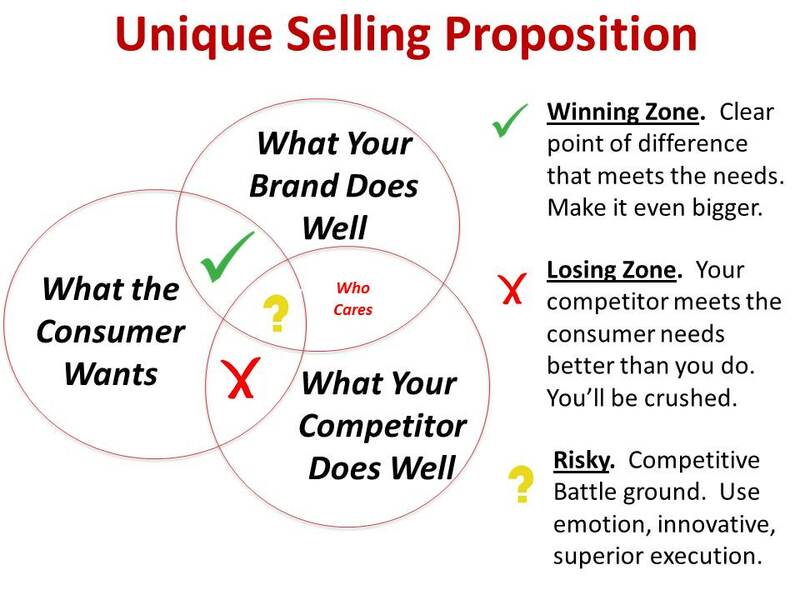 That’s why you need a unique selling proposition, or USP, to win them over. The point of a USP is to differentiate your product. The value of your USPs only come into play after your prospects enter your funnel. When your brand is weak, competitors with better brands will absorb customers. Marketing is more effective in conjunction with a strong brand. Good marketing takes the brand’s voice and extends it outward to reach qualified leads. If the brand doesn’t expand its core identity, it will struggle to reach its target audience. And saturation from marketing campaigns may expose weak spots on a poor brand’s armor to a higher volume of people. That’s why you always have to match good marketing with brand values. You’ll need to do some SEO, too. Google is sort of like an usher that decides which websites get to mingle near the top of the organic search engine results. But with constant algorithm updates, it can be pretty hard to keep up. The Fred algorithm update, which launched on March 8, 2017, targets websites violating Google’s webmaster guidelines. Most sites affected are ones with low-quality posts that were created solely to generate ad revenue. So if you have any of these posts on your site, you could risk messing up your current rankings (or worse – losing high rankings altogether). Review Google’s Search Quality Guidelines regularly and avoid posting too much content that is ad-centered. If you try and trick Google into thinking your page is about something valuable but it’s really just scattered with affiliate links, you’ll risk your rankings. Landing pages with relevant keywords will receive a higher Google ranking and be more likely to show up during relevant searches, too. Keyword research can help you learn how to position your page content. Use a tool like Google Adwords Keyword Planner or Ubersuggest to get started. Just enter a keyword to uncover related words to target for. Remember that your brand is also a keyword. Highly qualified traffic will be searching for your brand name, so you want to rank for that. But if you “hack” SEO to bring additional, potentially unqualified traffic to your site, you won’t like what happens next. The idea of SEO is to give searchers the most qualified results for their queries. Pages that use exploitative or lazy tactics get penalized by Google. All in all, SEO is something worth spending extra time strategizing around. Use this beginner’s manual to get started. Once you’ve mastered SEO, turn your attention over to user experience (UX). If you want to funnel traffic toward a desired action, like making a purchase, you need to optimize UX. If site visitors get confused, they’ll leave. Site navigation should always be easy. On your website, you have to make it clear what your business does. For example, Scott’s makes it clear that they sell lawn care products. Reinforce what your brand does on your site. What’s obvious to you might not be obvious to someone else. How did they get to this landing page? Why is the landing page content relevant? Use a clear, concise call to action. You should also make sure the shopping cart is easy to view and access. The checkout process must be straightforward. Nobody wants to deal with a checkout process that makes purchasing your product harder than it needs to be. Always use A/B testing to figure out what works best. Employ a tool such as Unbounce to weigh 2 or more page designs against each other for effectiveness in maximizing sales. Pick whichever design version wins. Don’t forget to optimize UX for mobile, too, since more and more consumers are shopping over mobile in 2018. Ensure that your print is large, that load times are three seconds or less, and that the mobile version of your site is easy to navigate via touch. Basically, the mobile version of your site shouldn’t look exactly like your regular website. If you want to succeed in the e-commerce world, you have to be transparent with your customers, or they might not trust you. One of the easiest ways to come across as transparent is to make your contact information visible right on your website. Your traffic should be able to find your email address and phone number at the bottom or top of every page on your site. That way, customers will know how they can get in touch with you (and that you’re a real business with a real address). When it comes to charges, be upfront. No one likes hidden fees. Ever. If you charge extra for shipping and handling, make sure that this is communicated to prospects before they reach the checkout page. Don’t forget to give prospects outstanding product information, either. Your product isn’t what’s bouncing traffic, which is good news. In fact, your product could be the best solution to your customers’ problem. The bad news? Your product’s value isn’t translating. Web visitors don’t have a physical store location to experience. Instead of getting to play with your products, they only see whatever information is available. Quality of product information and attached images can make-or-break your sales pipeline. Give a thick description of your product pages. Don’t forget to highlight key benefits, like Apple. And make sure your product is priced competitively. An overpriced product may be perceived as not offering utility equal to its price. An underpriced product may be suspicious or appear less valuable than similar products with higher prices. Don’t price your item for more than you would pay as a customer. Or for more than your product is worth. Drive that worth by sharing testimonials and reviews on your website, like Carbon 6 Rings. If you want to find e-commerce success, you’ll need engaged website visitors. Here’s how to get them. The easiest way to boost engagement with your store is to use organic social media outlets to promote your brand in real time. If you haven’t already, build a blog about your industry and product lines. Help your customers by sharing useful information or earn new prospects by answering their queries, like Patagonia. You could even write blog posts about product development updates. Did you just schedule a new product launch on the calendar? Write about it. Tell your customers why the new product is useful, what the features of it are, and when it will be available. This will create interest in the new item before it even launches. Blog content boosts engagement because it helps build backlinks. And every time your website is linked to, you gain brand awareness. Now that you’ve established a strong brand, a fantastic user experience, relevant content and customer transparency, you can begin actually spending your ad budget. Try spending some of your ad budget on direct mail advertising or social media advertising. Choose wisely between the two, though. Out of all paid advertising options, social media is the least expensive. With direct mail, you will spend an average of $57 for every 1,000 people you reach. The amount spent to reach 1,000 people for social media advertising? Only $2.50. Promote a few of your tweets or create some sponsored Facebook or Instagram ads. You can also build a community from your brand. People tend to bond with others who have the same interests as them. Your customers will probably want to connect with others who love your products (and company) just as much as they do. And they’ll probably promote what you’re selling for you. Allow them to connect by building a “forums” or “community” section of your website. Shoot for something similar to NikeTalk, a forum site where Nike customers can post and comment on their own content. Another great way to build engagement is to host some events. What’s the harm in throwing a party for some added PR? Host a product launch party to let people try out your new stuff. You could even host a party they can bring their dogs to, like Structure Winery’s Wine for Wags event. If you’re an online-only store, host your event in a public space, like an events center. Create a hashtag related to your event, add it to your Facebook calendar, and send out invites to your followers. Drumming up some interest is as simple as that! At the event, encourage users to share their own photo with the tag or post your own images to social media, like this post from Heritage Agents. Center the entire event around your brand. Be sure to have your products out for sale during the event. Talk with customers about what your products can do for them and how they can make their lives better. Hand out business cards with your website URL and social media handles. Just because your website is located online doesn’t mean that you can’t boost overall brand engagement by meeting customers in person. If you want to sweeten the pot, you could even give away a few items as door prizes or as trophies for interactive “contests” during the event. The days of brick and mortar stores dominating the entire world of retail are long gone. The digital landscape is here to stay, making online stores the best place to sell. But making it big online is a lot harder than it seems. And tons of e-commerce businesses struggle to stand out in such a saturated crowd. Customers who don’t know how to use your site, hidden shipping costs, unknown product value, poor navigation, and more are to blame. Luckily, you can take control of your e-commerce store’s success. First, understand that your brand needs to stand for something, and you need to let people know exactly what that is. Your brand’s values should align with customers’ values, serve a purpose, and support ethical operations. SEO brings in traffic, so you have to work on optimizing your rankings. Do some keyword research and add in keywords on your site to pull in more customers. But don’t try and cheat the system, or Google might penalize you, which could lead to a decrease in rankings. Customers love awesome UX. Make it clear what you’re selling and add in CTAs so that you can funnel people through your site’s pages. Optimize your site for mobile users, too. Build transparency by adding contact information to your site, disclosing any additional fees or shipping costs before checkout, and embedding customer reviews. This helps to build trust with shoppers. Don’t forget to boost overall engagement rates. Get active on social media, create a blog with valuable content or product updates, or run some paid ads online. Build a “forum” or “community” section on your website where users can come together or host some events to draw out a crowd for a good time. Promote your event beforehand (and during) to create interest. Be sure to center the event around your brand and your products. What are some important factors for your e-commerce success?